In Taiwan, there has been a heightened awareness about food safety, as harmful food additives and contaminants have become a social problem. 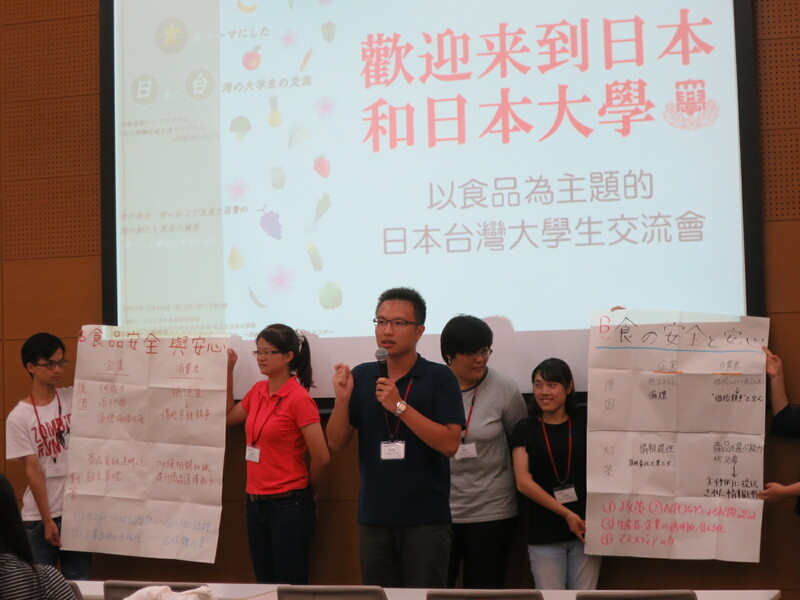 Against this background, JICE partnered with Japan-Taiwan Exchange Association to organize and host a study and exchange tour for a group of 30 Taiwanese undergraduate and graduate students under the theme of food safety. The delegation led by Prof. Szu-Shen Ho of Fu Jen Catholic University and Ms. Shu-Chu Chuang, Assistant Researcher of Chung-Hua Institution for Economic Research visited Tokyo, Chiba and Kanagawa from July 12 to July 20, 2017. This invitation program is part of JENESYS 2017, a youth exchange program for Asia and the Pacific launched by the Ministry of Foreign Affairs of Japan to promote youth exchange between Japan and the participating countries from Asia and the Pacific and to encourage an understanding of Japan in terms of politics, economy, industry including agriculture, society, history, culture and diplomacy. 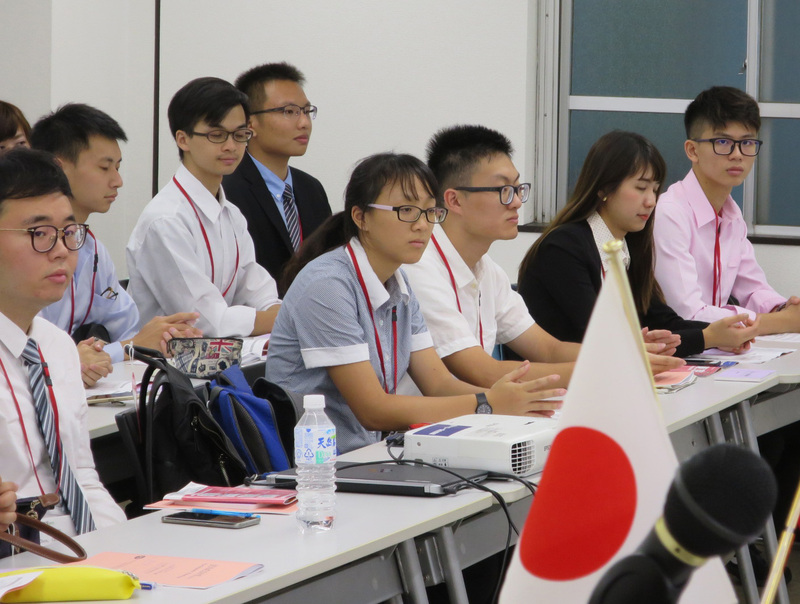 The participants are expected to disseminate their observations of Japan and play a leadership role in connecting Japan with their countries in the future. Mr. Lin, Shih-Ying, Director, Education Division, Taipei Economic and Cultural Representative Office in Japan, his secretary Mr. Sheng-Ming Huang, Mr. Yoji Osada, First China and Mongolia Division, Asian and Oceanian Affairs Bureau, Ministry of Foreign Affairs and Ms.Fukiko Matsudera, Assistant Director, General Affairs Department, Japan-Taiwan Exchange Association attended the opening and orientation session of the program as the guests of honor. The Taiwanese study group on food safety was exposed to food culture and the high level of food safety standards as well as food and nutrition education in Japan through lectures by related ministry officials and matching site visits to food processing factories such as the one for processing sliced dry bonito, an indispensable ingredient for Japanese food. They also learned how Japan was committed for safety of food and agricultural products by visiting Chiba Prefectural Agriculture and Forestry Research Center. During the exchange visit to Department of Food Business, College of Bio-resource Sciences, Nihon University located in Fujisawa, Kanagawa Pref., they joined the lecture and discussion with the fellow Japanese students, observed its food processing laboratory and enjoyed cooking pineapple cakes together. The students also learned about food marketing by visiting a local agricultural market “Sagami Wai Wai Ichi” operated by Japan Agricultural Cooperatives. On the final day of the program, the Taiwanese participants all reported that they deepened understanding of policies and various measures for food safety in Japan. After the words from Mr. Daniel Ko, Director of Tokyo Office, Chung-Hua Institution for Economic Research and Ms. Michi Kakizawa, Director-General, General Affairs Department, Japan-Taiwan Exchange Association, the certificates of completion were presented to all the participants by Mr. Hiroshi Kawagoe, Managing Director, International Exchange Department, JICE.